Despite being voted the most popular singer, Junsu, musician of Korean male trio JYJ, was not extended an invitation for the 2016 Seoul Music Awards Thursday, sparking debate whether his estranged former agency SM Entertainment is still wielding its power in the local music industry. Below is the timeline of the trio’s years-long legal battle for independence from the record label giant. — July 2009: Three members of the quintet K-pop boy band TVXQ — Hero Jaejoong, Micky Yuchun, and Xiah Junsu — nullify their contracts with SM Entertainment, citing unfair distribution of profit and the excessively long 13-year contract. SM responds saying their claim was deviant and reckless. — September 2009: Hero Jaejoong, Micky Yuchun, and Xiah Junsu change their stage names to Jae-joong, Yu-chun and Jun-su, respectively, and establish a trio called JYJ. — October 2009: Court grants injunction to protect JYJ’s activities, regardless of SM Entertainment’s objection. — June 2010: JYJ holds Japan concerts in Osaka and Tokyo. — September 2010: JYJ release their debut album “The …” in Japan, topping the Oricon Weekly Chart. A week later Avex Entertainment, former agency of JYJ for their Japan activities, halts all Japan activities. — Feb. 2011: The Seoul District Court rules in favor of JYJ’s Korean activities, legally nullifying the contract between JYJ’s three members and SM Entertainment. — April-June 2011: JYJ goes on first world tour in Thailand, Taiwan, China, Canada and the United States. 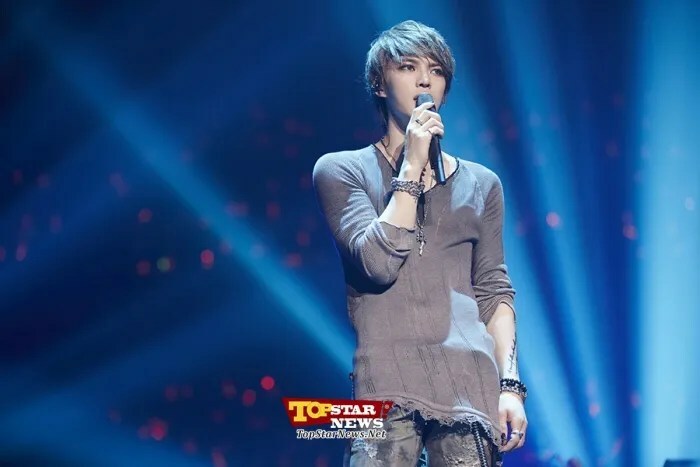 — July 2013: The Fair Trade Committee orders the Union of Korean Pop Culture and Arts Industry, a collective federation of artists promoting Korean culture and arts to withdraw its act of relentlessly hindering JYJ’s activities in Korea, which was revealed to have been done in collusion with SM Entertainment. — April 2015: JYJ Jun-su makes first TV appearance through “EBS Space,” a live music performance show, six years since debut as JYJ. — January 2016: Jun-su bags “the most popular singer” at the 25th Seoul Music Awards, yet was not invited to the venue. C-JeS Entertainment has officially announced that the legal dispute between JYJ and its former Japanese management, Avex, has come to an end. On February 16, entertainment agency C-Jes uploaded a press release on its official homepage regarding its artist group JYJ. It announced, “C-JeS (JYJ) and Avex have agreed to end all legal disputes that have occurred between the two parties until now. Henceforth, C-JeS (JYJ) and Avex will longer meddle in each other’s activities. Previously, the Tokyo District Court ruled in favor of JYJ and ordered Avex to compensate the group for interfering with its activities in Japan. Avex immediately appealed the decision, and a related source revealed, “Through the mediation of the Tokyo District Court, both sides decided to settle. “C-JeS (JYJ) and AVEX have reached an agreement in ending all legal disputes that has happened up to now between the two. Avex and C-JeS agreed to end all legal dispute between them. No interference in the future is to be carried out. 1. The trial’s settlement papers suddenly got viewable today. There are up to 10 settlement terms. Sections 3,4,6 are restricted for viewing (i.e. public can’t view what is written). 6. Costs of litigation will be shouldered by both companies. The contents of the record of settlement is over. 7. The settlement document will be archived. If instructions will not be followed, the company can petition for enforcement. Ruby’s note: Basically, the settlement document is completed. However, there are sections that are not available for public viewing. Both companies can not disclose the full settlement terms because this will be a violation of the agreement. C-JeS will release a statement via their website. Japan Court documents are available for public viewing so fans can come to court and verify. Follow-up of Final Hearing Trial. 1. Company C and A have reached a settlement a few days ago. Written statement of the settlement seems to have been completed, but there was a request for viewing restriction (perhaps by A), it is impossible to know the detailed conditions and the contents of the current settlement. Please note that whether there is a viewing restriction or not, the settlement document is currently under review. 2. If the motion for the viewing restriction is granted, part of the settlement contents and conditions can not be viewed. The motion also covers the court documents of the 1st trial and appeal. The court confirmed that Company A and Company C have reached a settlement agreement. Their lawyers are drafting the settlement agreement. More details will be released soon! C stated that if C agrees to this issue, it is a disadvantage on C part in case A appeals in a higher court. Settlement talks will still continue. Next oral argument is on Oct 30, 1:10 PM. Establishment of the settlement is expected to happen at that time. The presiding judge seems a bit troubled thinking that there is no way C will accept the takeover. Note: A side is trying to say that A Entertainment (as a head company) should take over A Management’s part in this trial. A Management handled JYJ’s activities before and the trial is really against C vs A Management. C does not agree so until today, settlement was not finalized. The court has instructed C and A to reach a settlement decision and will meet on Sept 9 at 1:10 pm JST for the agreement. Everything will be finalized on Sept 9. C has won the trial before. Possible that A just appealed because they want a settlement, which is the result of today’s hearing. It is not certain if JYJ can promote freely in Japan after this. It was an unusual sight in a way. Kim Jejung, a member of Korean trio artist, JYJ, had his solo live concert last June 26 at Yokohama Arena, Kanagawa Prefecture. Fans’ screams even had tearful tinge in it, and there were some fans who couldn’t stop crying. This scene looked similar to when JYJ held a concert at Tokyo Dome this April after three years. When Jejung, Kim Junsu and Park Yoochun appeared on stage, fans’ shouts of delight had a tearful tone, and some fans kept crying while holding towels. These three [JYJ] have hardly been able to do any entertainment activities in Japan these past four years. They brought a case against their former management company in Korea as they were unsatisfied with the content of their contract with the company. In 2009, when they were at the peak of their popularity as members of “Tohoshinki”, Avex also ceased management of their activities in Japan and made a statement announcing a halt of activity of the three. Since then, their entertainment activities decreased sharply in both countries [Korea and Japan]. Yet their fans went out of their way to watch their live concerts in Europe, America and Asia where holding their activities was possible, and fans kept looking out for their videos and information on the web. This spring, after the expiration of the contract between the three and Avex, they held their concert at Tokyo Dome which drew as many as 150,000 people in total during three days of concert. This time, 45,000 people flooded to the solo concert [of Jejung] for three days. A popularity phenomenon that had an explosive increase due to a sense of starvation is called hunger marketing. JYJ’s popularity at present is being boosted by a sense of fans’ starvation.